Hall of the Mountain King: Stuck in My Head: Amon Amarth - "Cry of the Black Birds"
Stuck in My Head: Amon Amarth - "Cry of the Black Birds"
If this song doesn't get you pumped up, it's time to cut your hair, retire the spiked wristband and hang up the horns. Though they've been doing Viking metal for as long as they've been around, this is perhaps one of the most Viking songs Amon Amarth has ever done in my mind. It's all about that first verse. The guitar, drums and bass all join together on those hammering downbeats and Johan Hegg snarls out each word on the beat, holding out the last in a guttural war cry. There's just something so utterly primal about that short piece of music. It's the kind of piece that so many metal bands long to write, but few ever accomplish. It just makes you want to jump up and grab a sword and go out and kill something -- or it should. Don't turn the sound down after that, though, because there's nice work elsewhere on this track. Guitarists Johan Soderberg and Olli Miikonen deliver up some tasty melodic work, and the entire band is tight, as is always the case with Amon Amarth. 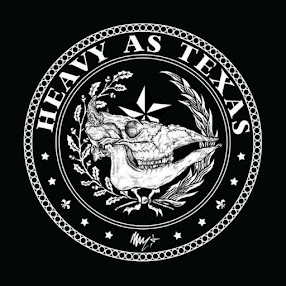 The rest of the track is a testosterone-raging battle hymn, as well, proving again that, despite what a lot of death metal bands think, you don't have to abandon melody to write a brutally heavy song. But without that first verse, it's just a pretty good Amon Amarth tune. With that verse, it's a berserker battle cry that the metal gods can't possibly ignore. Listen to a sample of "Cry of the Black Birds." 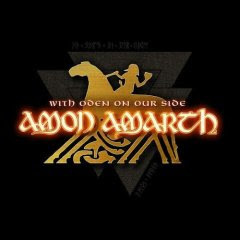 Get Amon Amarth's "With Oden on Our Side." Stuck in my head is a regular feature about whatever song happens to be running around incessantly in my mind at the moment. Review: Blood Tsunami - "Thrash Metal"
Still Spinning: Aerosmith - "Aerosmith"
Review: Dream Theater - "Systematic Chaos"
Review: Ozzy Osbourne -- "Black Rain"
Review: Megadeth - "United Abominations"
Stuck in My Head: Danzig - "Come to Silver"
Review: Iced Earth - "Overture of the Wicked"